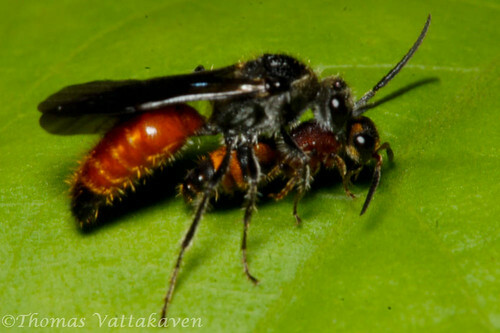 Nature Magnified: Are some wasps flightless? When I hear of wasps, I think of flying creatures, so it came as quite a surprise when I heard of flightless wasps. However, they do exist. Some wasps are indeed flightless. 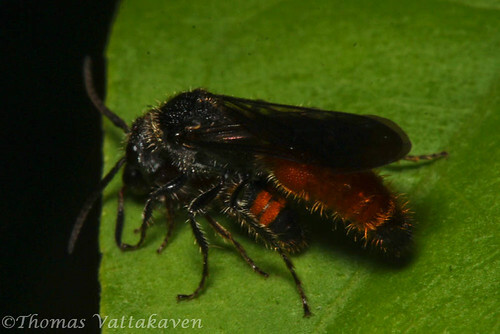 So you may ask why I`m featuring here a wasp that clearly has wings! 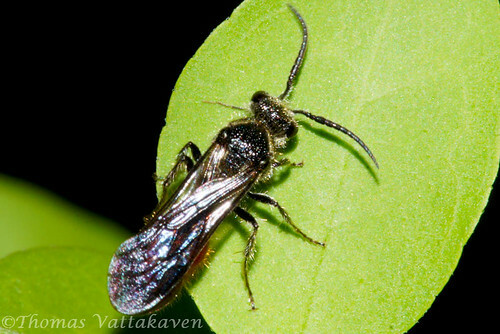 That's because this is a male wasp belonging to the family Mutilidae and although their males can fly, it is the females which are flightless. The males are usually several times bigger than the female. The males and females are very different in appearance and it is almost impossible to associate the two sexes of any given species, unless they are actually captured in the act of mating. 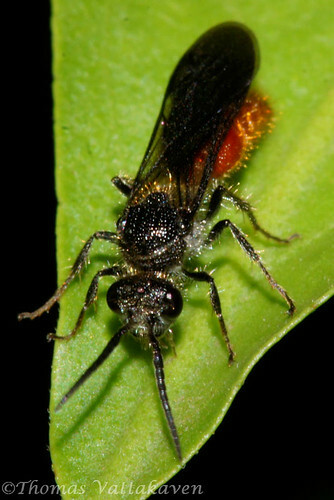 While the males are generally free flying nectar feeders, the females are ant mimics and live in the nests of ants (or bees or other wasps). 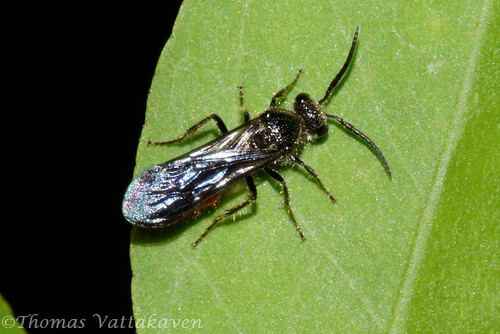 The integument of these wasps are usually very tough and offer them protection from the sting of the ants and bees. 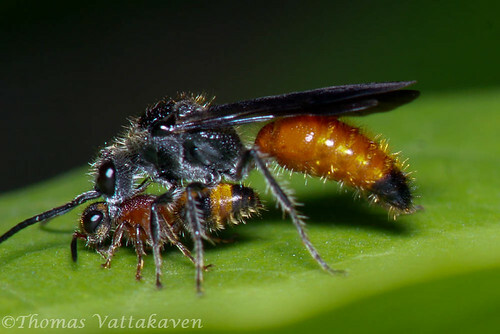 When ready for mating, the male seeks out a female and often (as seen here) flies around with her from plant to plant, while mating. 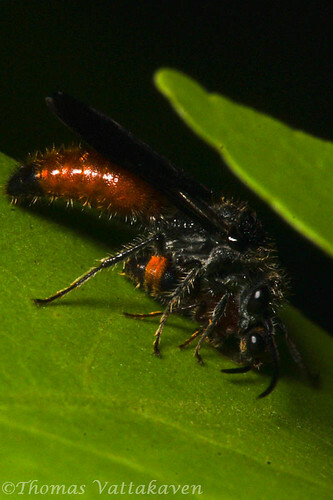 The female, after mating, finds the nest of ants, wasps or bees and lays her eggs near its larvae or pupae after paralysing it with its sting. 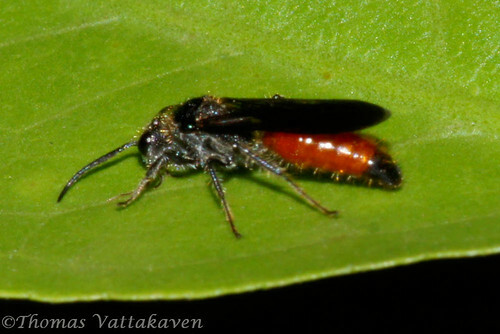 On hatching the wasp larvae feeds on its immobile host and develops as a idiobiont ectoparasitoid. It was hard getting these photographs as the mating pair would not remain still. Hence the blur in some photos. 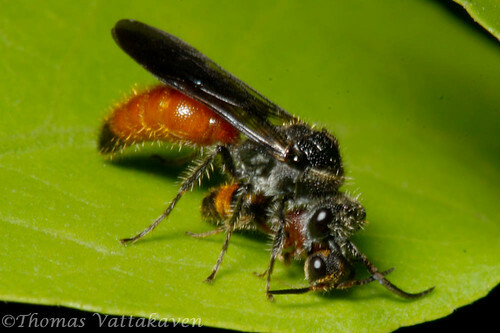 This pair was identified as possible Myrmosa or related species by the helpful people on Diptera.info. If you know better please do drop a comment.